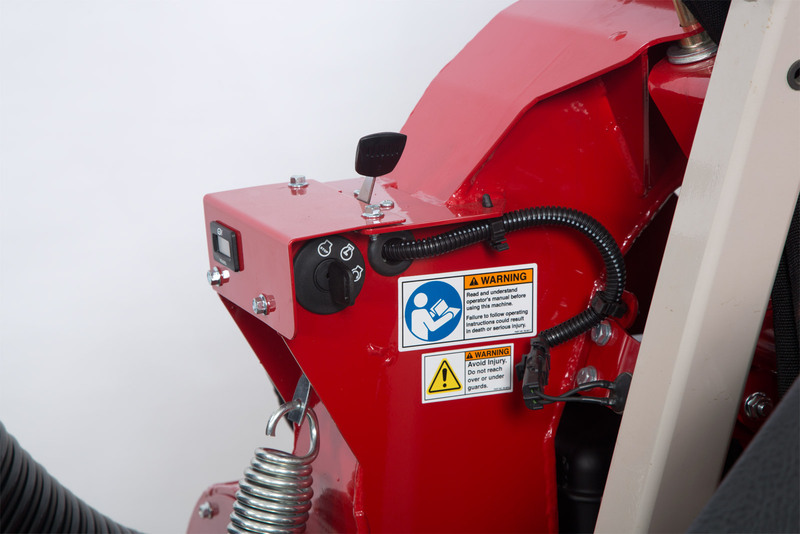 The Bin Assembly - mounts to the rear of 4000 series tractors. High Lift Mechanism - hydraulically raise the collection bin up to five feet and dump to unload the contents into a garbage bin or trailer. 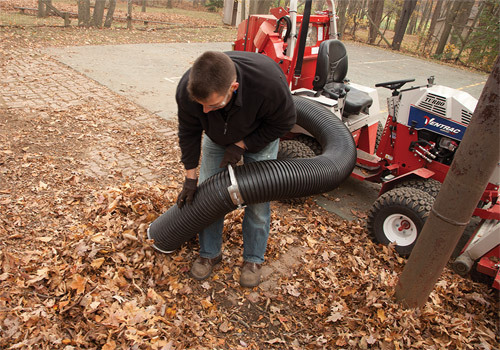 The vac requires a docking station when dismounted. 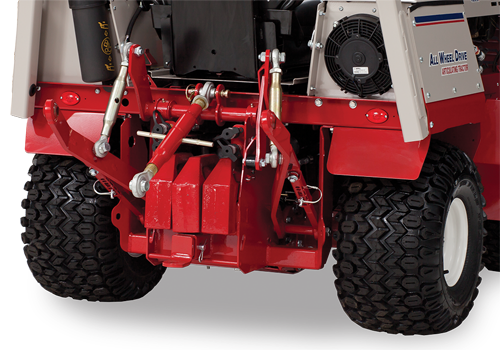 A storage stand with caster wheels is used when it is to be parked or moved around on a level floor. When loaded onto truck, a rigid base assembly is anchored to the floor that holds the vac firmly for transport. *For optimal performance, use with a 60" deck. 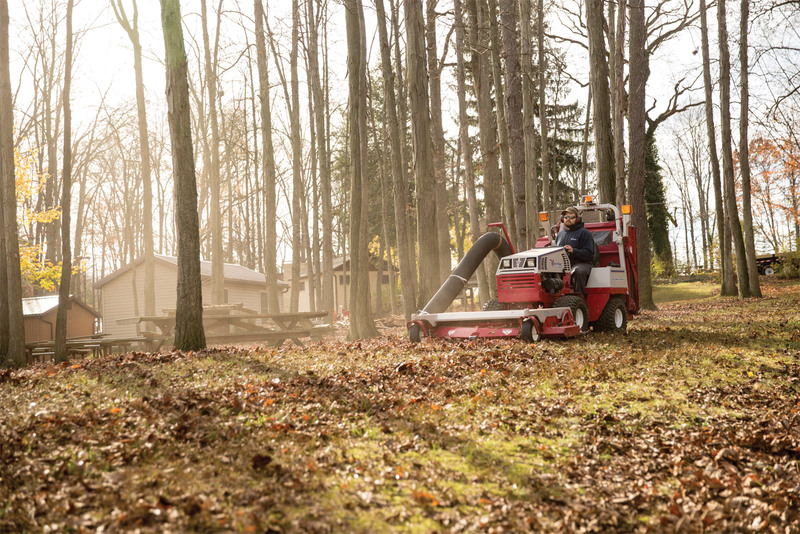 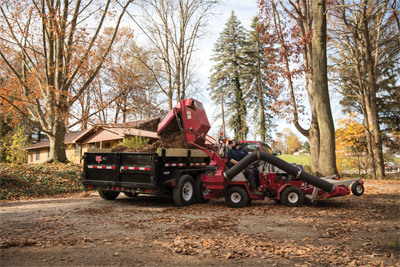 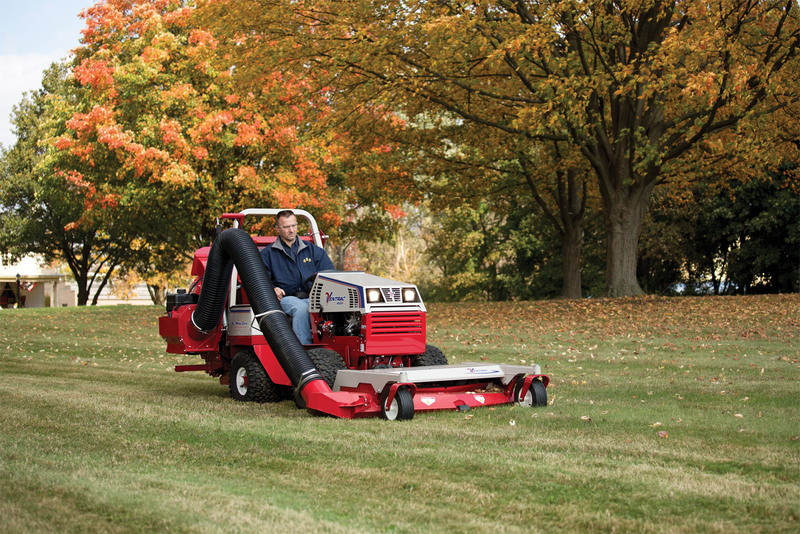 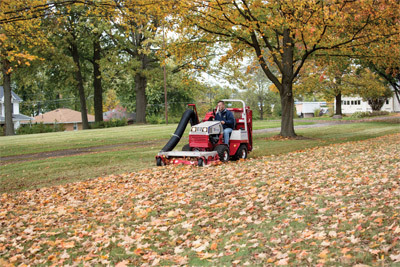 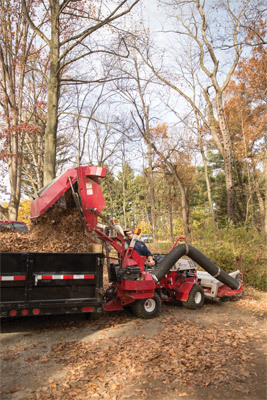 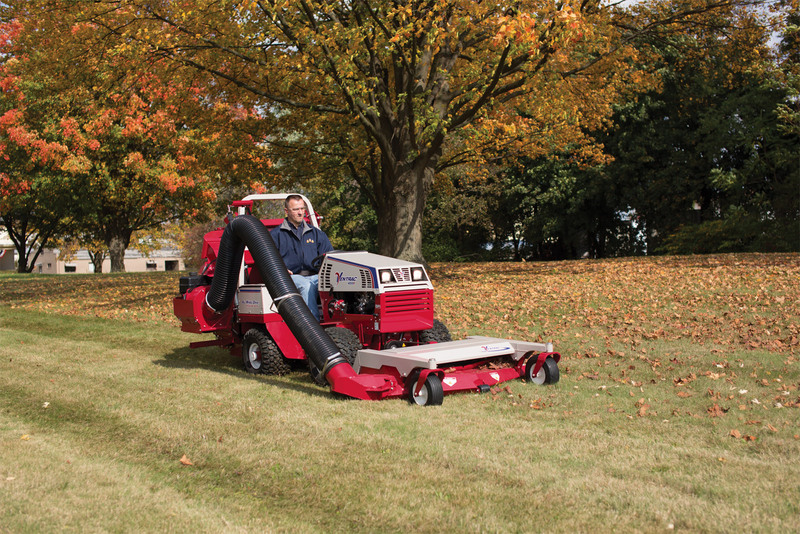 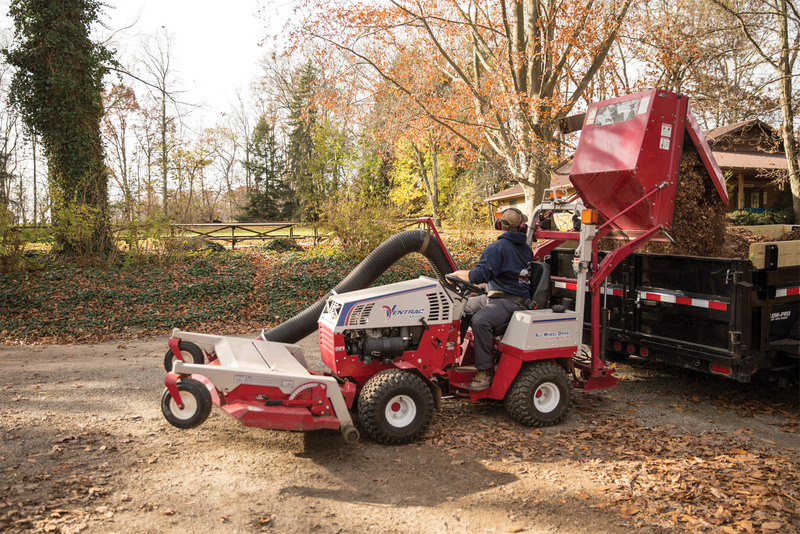 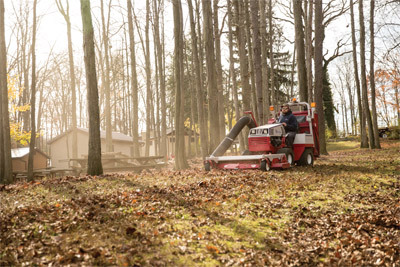 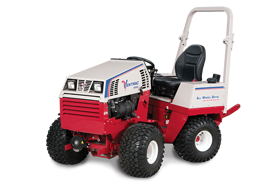 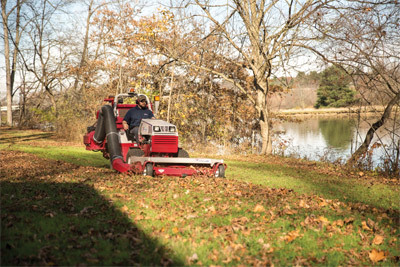 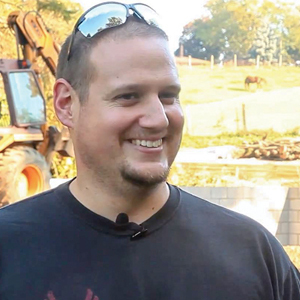 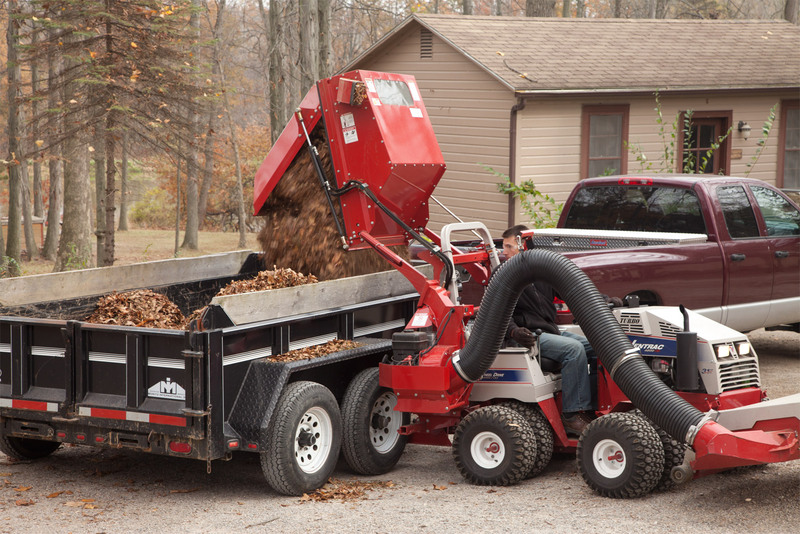 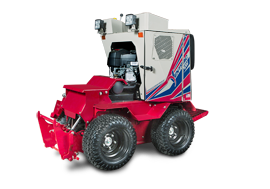 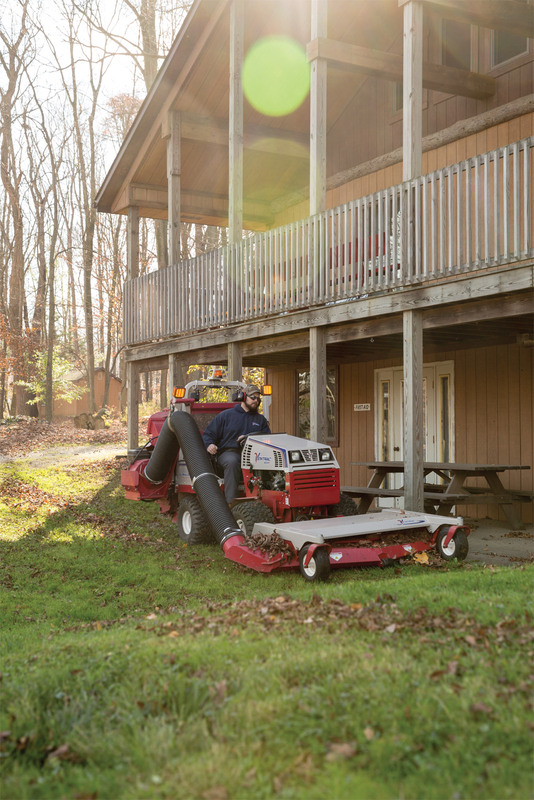 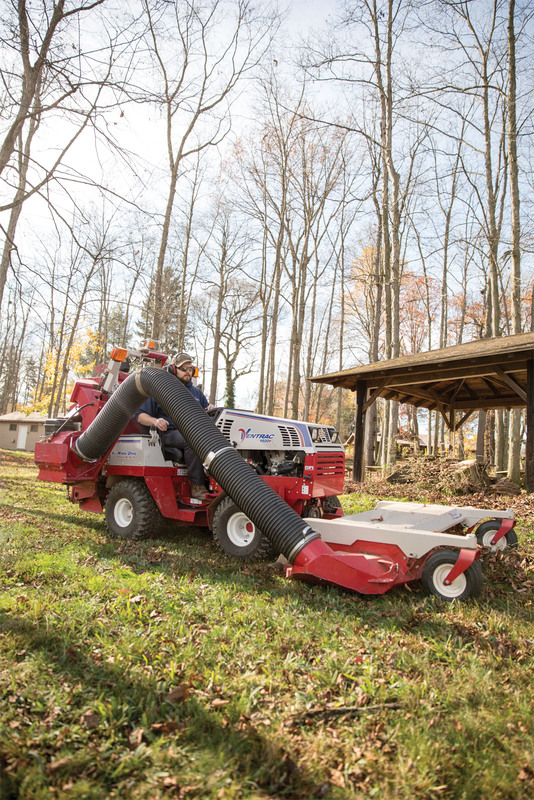 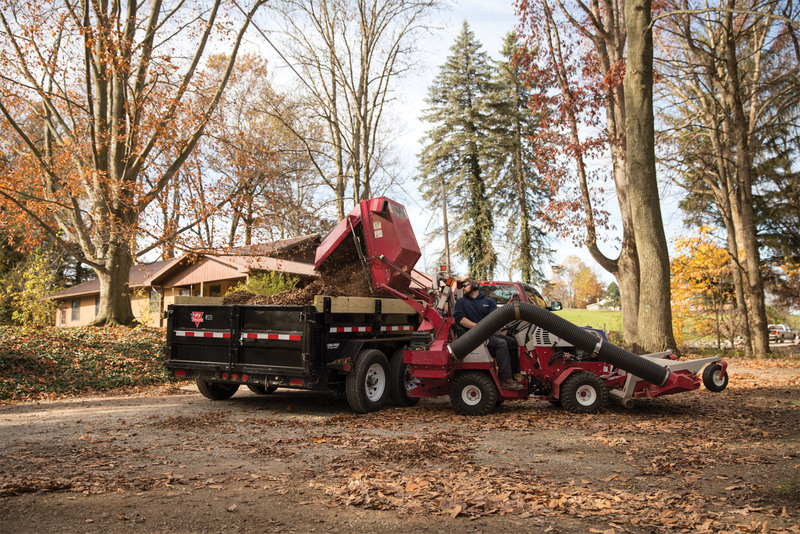 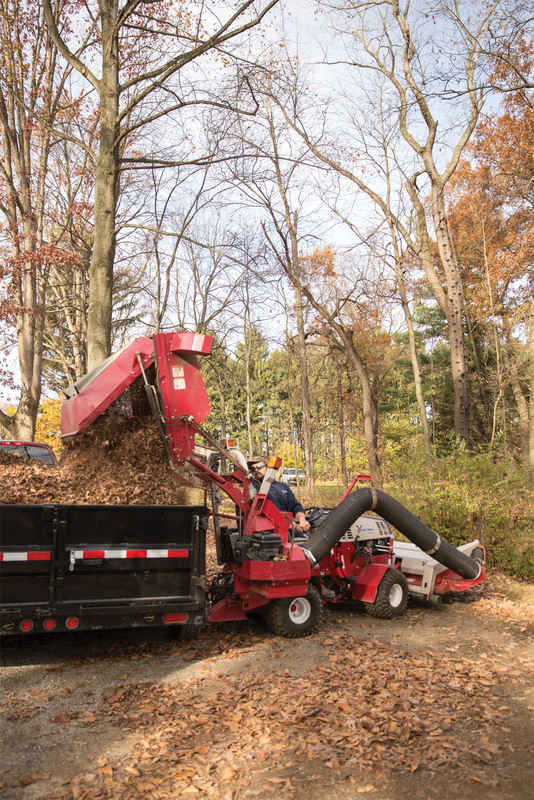 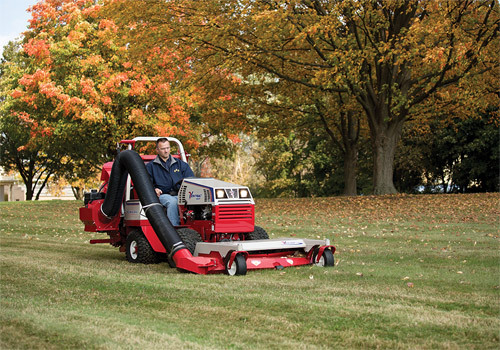 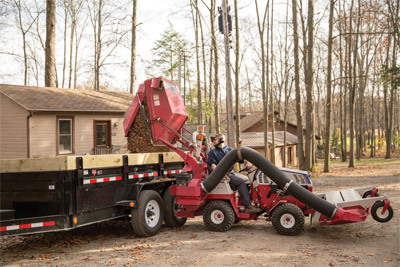 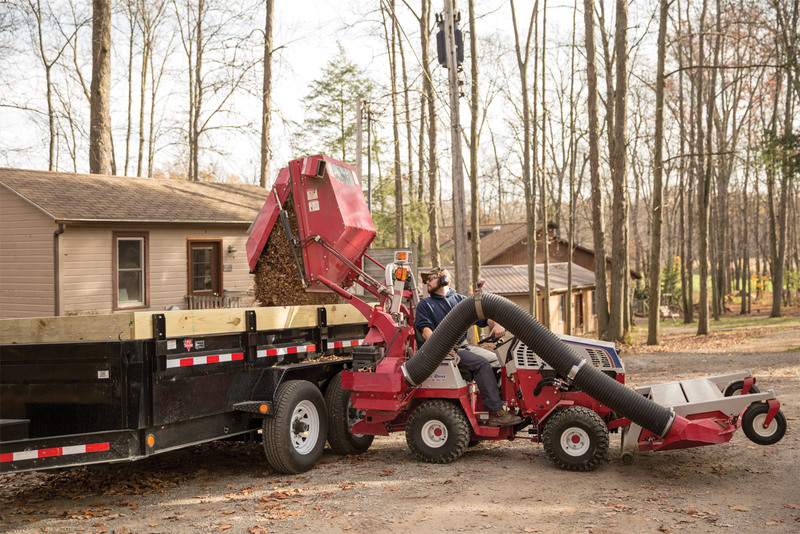 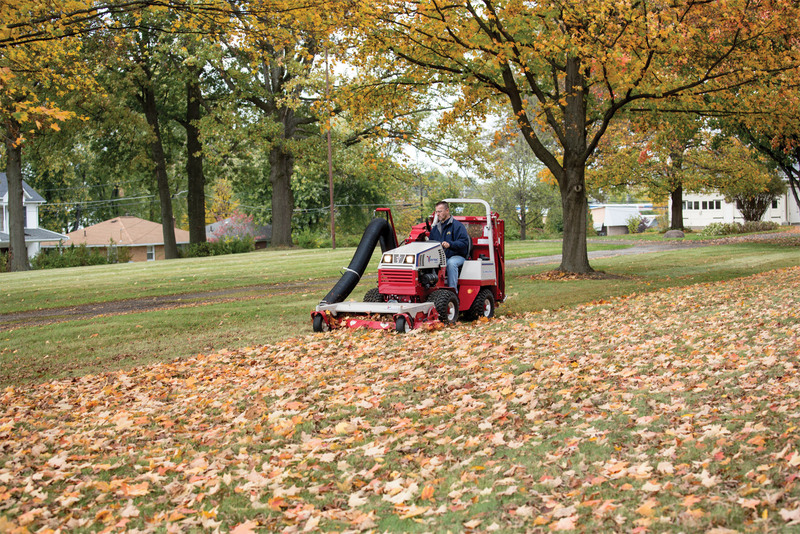 Ventrac offers a full lineup of fall leaf management solutions for commercial properties or large home estates. 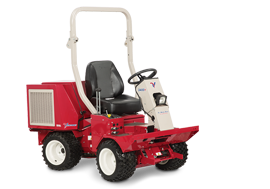 Enlarge Picture / Press Link · Ventrac 4500 with RV602 Vacuum Fully Raised - Collection Bin raises to five feet to allow to empty into trailers. Enlarge Picture / Press Link · Ventrac 4500 with RV602 Vacuum System Complete - Consists of three primary components:The Bin Assembly - mounts to the rear of 4000 series tractors.The Suction/Blower System - powered by a 10HP Vanguard engine with electric start for efficient pickup and superior performanceHigh Lift Mechanism - hydraulically raise the collection bin up to five feet and dump to unload the contents into a garbage bin or trailer. 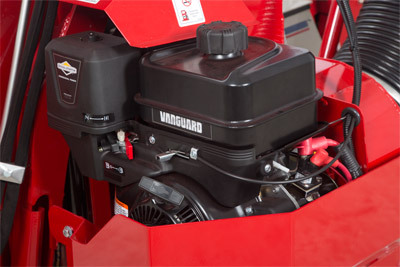 Enlarge Picture / Press Link · Closeup of Vanguard Engine for RV602 - The 10 HP Briggs and Stratton Vanguard engine that powers the vacuum features and electric start. 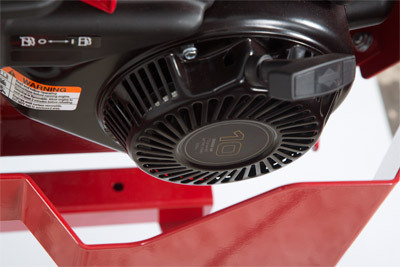 Enlarge Picture / Press Link · Closeup of Vanguard Engine for RV602 Top View - The 10 HP Briggs and Stratton Vanguard engine that powers the vacuum features and electric start. Enlarge Picture / Press Link · Closeup of Vanguard Engine Start Switch and Throttle for RV602 - Electric start and individual throttle control makes the RV602 Vacuum even more versatile. 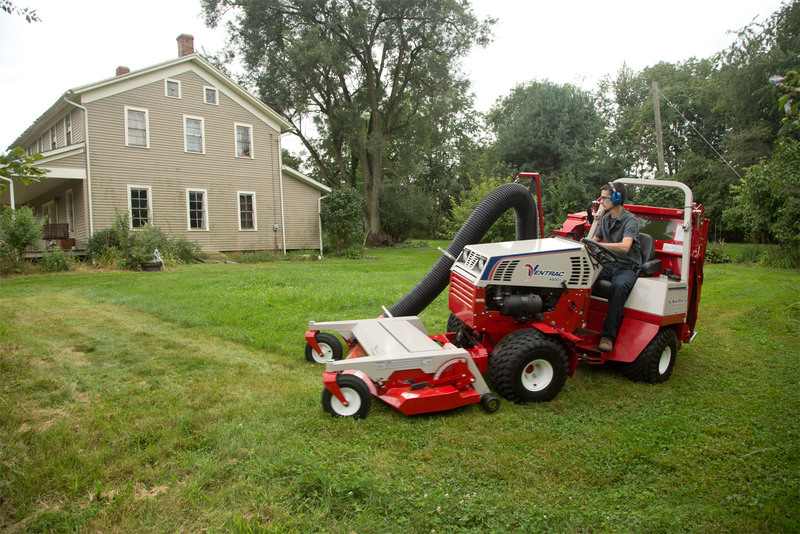 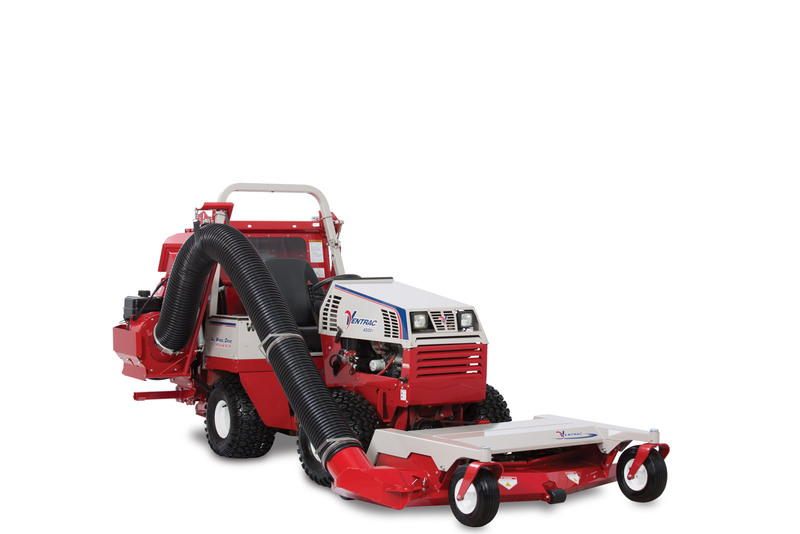 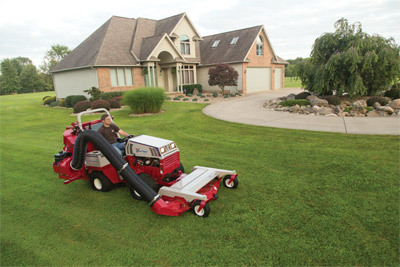 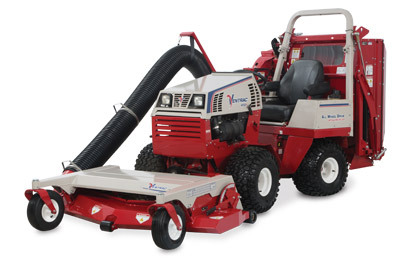 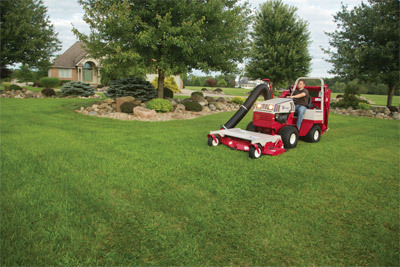 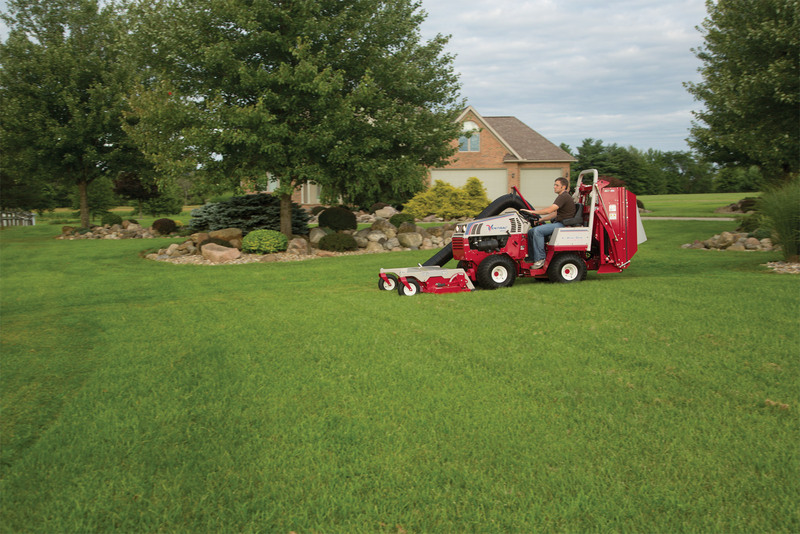 Enlarge Picture / Press Link · Ventrac 4500 and Vacuum Collection System - Mow your grass leaving only a beautiful cut lawn behind and not piles of clippings. 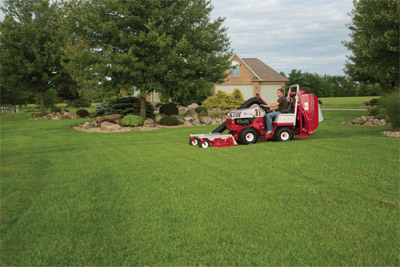 Enlarge Picture / Press Link · Ventrac 4500 Mowing with 60 inch Deck and Vacuum System - Mowing your lawn with the Ventrac Vacuum System further enhances that professional look that Ventrac is known for. 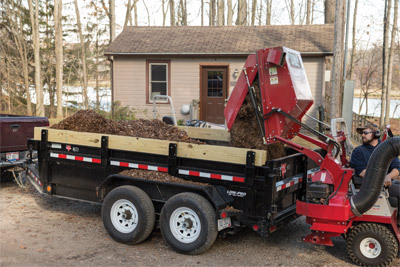 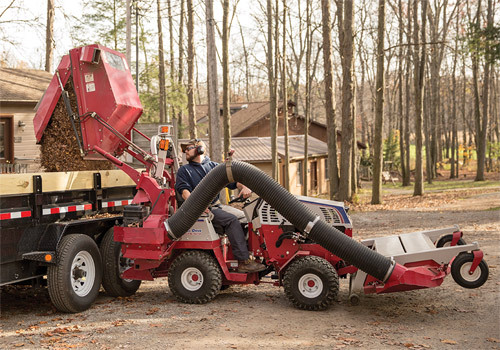 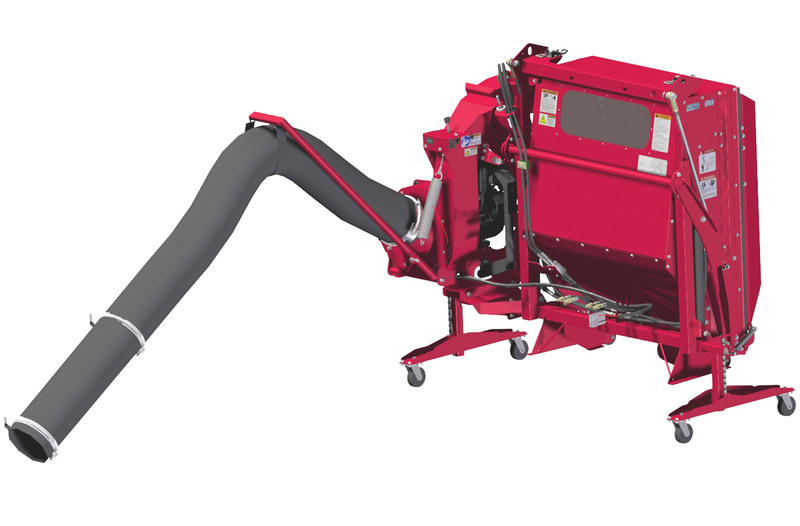 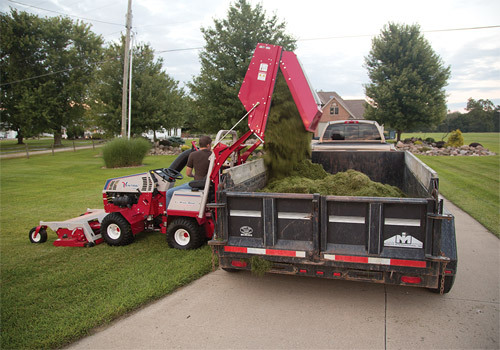 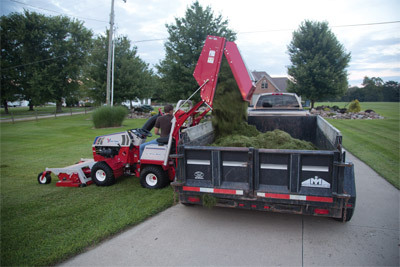 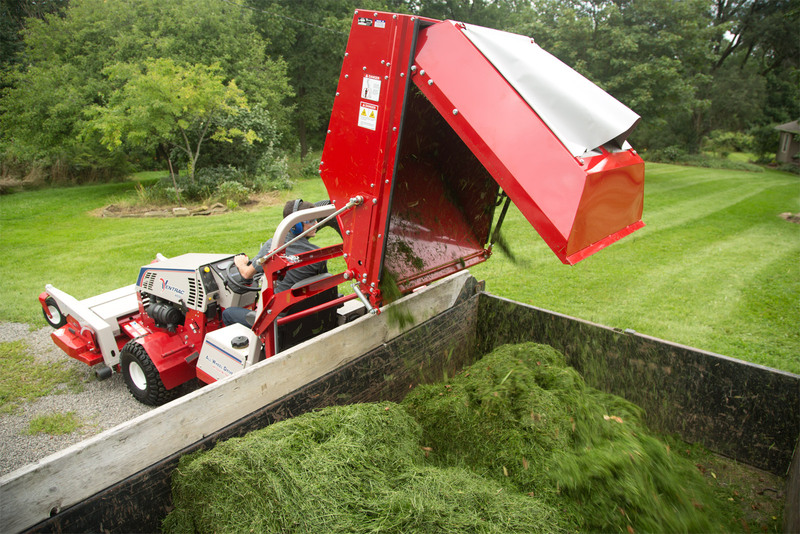 Enlarge Picture / Press Link · Ventrac 4500 Dumping Clippings from the Vacuum System Bin - The bin can be lifted five feet and has enough overhang to extend its reach over a truck or trailer. 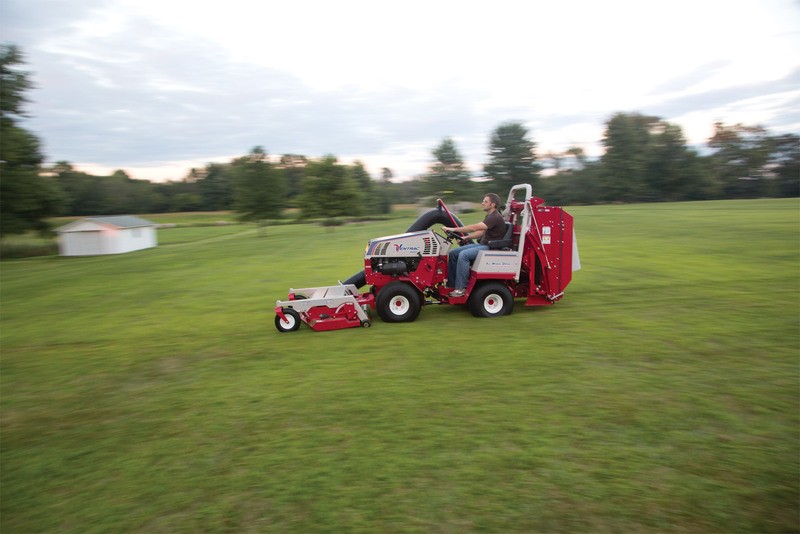 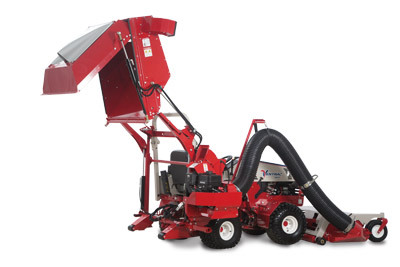 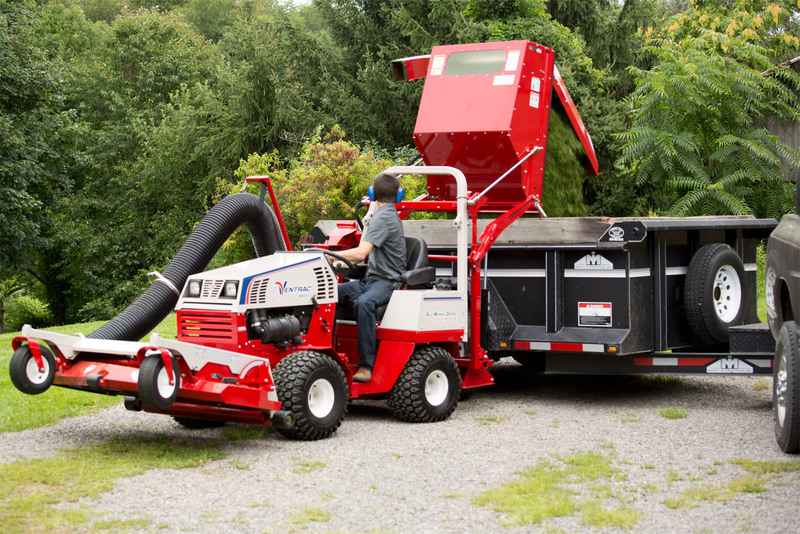 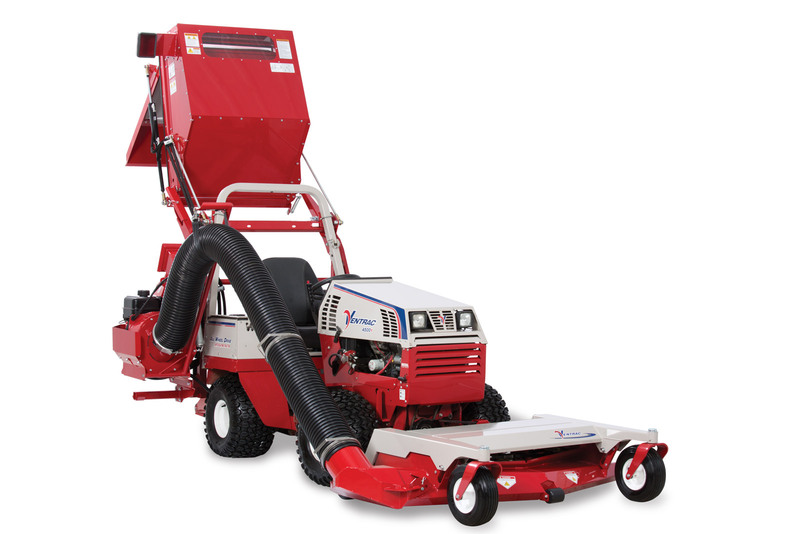 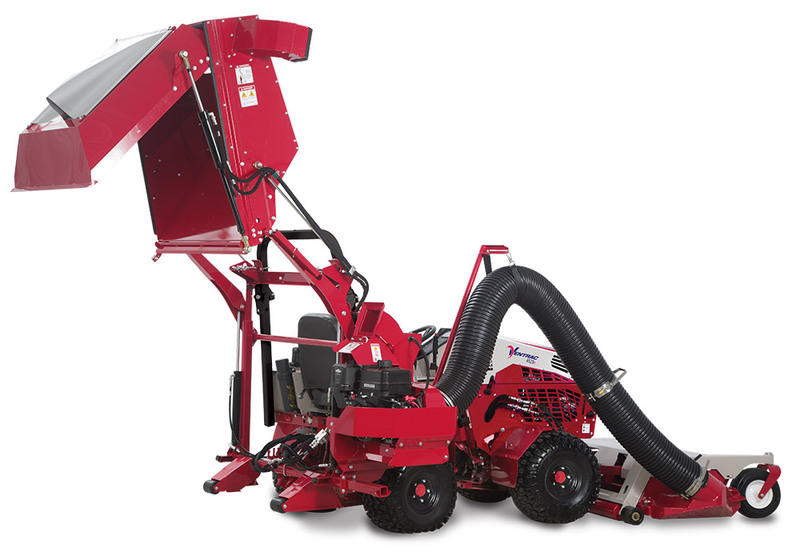 Enlarge Picture / Press Link · RV602 Vacuum Collection System on the Ventrac 4500 - With a 16 cubic foot capacity you'll spend less time making trips to empty the bin. 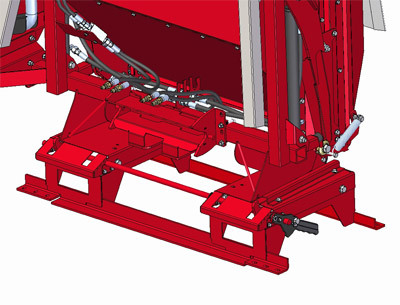 Enlarge Picture / Press Link · Docking Station Diagram - Detail of docking station for the RV602 Vacuum Collection System.